BBi Financial Planning Ltd is a new company formed in 2015, but you might already know us as the financial services department of Berns Brett Ltd.
We are still part of the global Berns Brett Group – not bad for a company which started as a local insurance broker in Walthamstow in 1967. 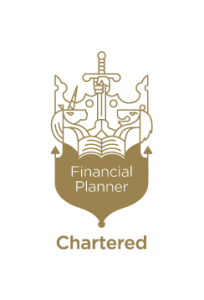 While both of our financial advisers are already at chartered level, forming a new company allows us to qualify for Chartered Financial Planner status as a firm, as well as individually. With years of experience between us and hundreds of satisfied clients behind us, we are looking forward to the opportunities ahead of us. Peter has been with the BBi Group since 1986, has been a director of the firm for over 20 years and is now Chairman of the BBi Group as well as a director of BBi Financial Planning Ltd. When he can get away from the office and is not surrounded by six (and counting) grandchildren Peter enjoys rugby (Harlequins), fishing, motorcycling and Marvel comics. Trevor joined the BBi Group in 1988 and became a qualified financial adviser in 1990. In his spare time Trevor enjoys cycling and spending time with his family while doing most of the vacuuming and gardening. Peter joined the company as a trainee in 1996 and still prides himself on making the best tea in the office, despite what everyone else says. Peter loves to hit the board games in his spare time (which he insists are the most fun you can have sitting down) and has just published his first novel. Maria has an ongoing love affair with Hula Hoops and is the reigning office bowling champion as well as a dark horse when it comes to Settlers of Catan. Charlotte originally joined us as part of the UK apprenticeship scheme. When not studying for her exams she is busy leading a Girl Guide group and finding sassy hats. 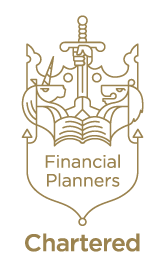 Charlotte has completed her goal of becoming the youngest diploma qualified financial adviser in the UK and is our newest financial adviser. Clive is the most recent addition to the BBi FP team but has over 30 years experience in financial services. Clive enjoys golf and has a passion for the history of London and is starting his own tour!